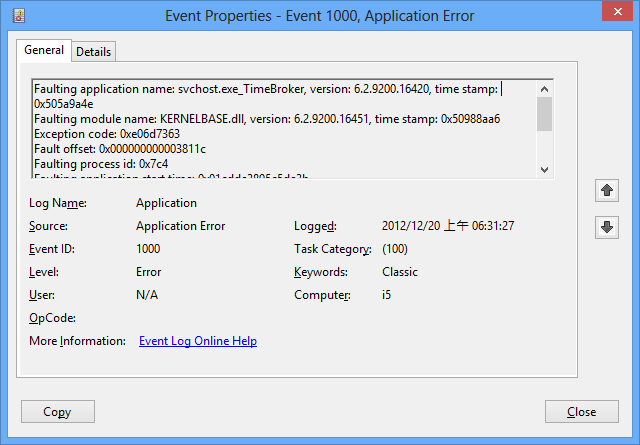 Chances are that some timer-related Windows Store Apps, say reminder, scheduler, stop watch and the like, might negatively impact the low-level timing operations. According to Noori, he suggests the Tile Time app might have caused problems. This costs me for 10 work hours to solve it. If you are suffered from the same problem, don’t waste your time blindly uninstalling the apps you’ve installed or examining, upgrading or re-installing the devices, or rebooting again and again. 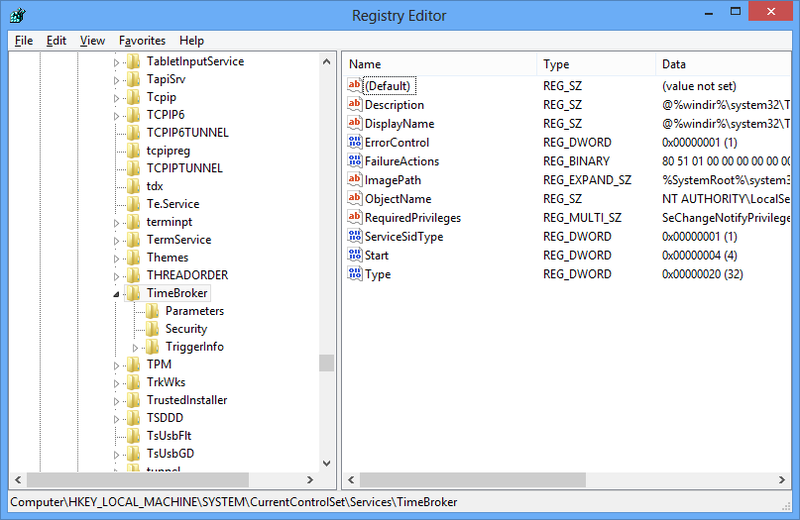 Just disable the TimeBroker service and reboot your Windows 8 to uninstall the problematic timer-related Apps. Since we don’t know which app is the killer, so uninstall suspicious Apps and reboot to test the result one by one. However, the Tile Time app is the number one to be killed! Upon logging in, click the Desktop tile in 2 seconds to switch to the traditional desktop environment that is more responsive. If you are not succeeded, keep pressing the Windows key and you would win a few seconds when the system is responsive. Press the shortcut combination: Windows key + R, type in “cmd” and click OK. Modify the “Start” value to “4” (4 for disabled; 3 for manual). Reboot the system and the Start Screen should work normally for you to uninstall Apps. Restore the “Start” value to “3” and reboot. The problem was not caused by the Live Tile Timer app, published by TheDev, but by the other app you have installed, Tile Timer. You granted access to some background process that killed your system. Live Tile Timer do not run in background, so cannot kill your system. Thanks for feeding me back. I removed comments about Live Tile Timer. In fact, I didn’t install Tile Timer, but probably was confused by the other two apps. By the way, how can you respond so quickly as the post was published? I ran into a similar issue in that I downloaded an App that had a memory leak. The program was called The Time. Anyway, just wanted to add my 2 cents – be careful what you download. You are right. I should have read more ratings and comments. Thanks for sharing.